I’ve been a freelancer for roughly a dozen years and I can tell you, precisely and in detail, about the years that have been the hardest for me. You know, the ones in which you woe the day you ever became a freelancer, eat Ramen noodles for weeks in a row, and call your mother to say that if things don’t improve drastically, you’re moving in with her, husband, child, and animals in tow. Heavens be thanked, I’ve never had to move in with my mother. Because each time I’ve struggled with money, I’ve realized that it comes after a busy period in which I’ve neglected my marketing. And each time I’ve realized that, I’ve committed myself to 40+ hours a week of marketing. Every single time I have done this, my bills are magically paid by the end of the month and my mother’s guest bedroom remains dog-free. Years ago, when I was living in Berkeley, my freelance business smashed up against the US economy. The results were not pretty. By the time I returned to India, my freelance business was bruised and had cuts all over its face (you should have seen the other guy). I came up with an idea: I would send 30 query letters to national publications in the span of 30 days. That year, I wrote for The New York Times, became a regular contributor to Time magazine, was named Contributing Editor at Elle’s Indian edition, and made more money than I ever had before in my career. When freelancers say that pitching is a numbers game, we’re not saying send three queries and go relax. Those are not the numbers that will get you results, not any more. But send them every single day and twice on Sunday and the results are almost guaranteed. Your queries have to be fantastic and your letters of introduction head and shoulders above the rest of your competition, but once you’ve got those sorted, the only way to grow your freelance business is to put your work out there in front of as many people as you can. 1. The only way to do something is to do it. Researching story ideas is not pitching. Finding out who edits what section of a magazine is not pitching. Adding two dozen people on LinkedIn and wading through their list of contacts? Not pitching. You know what counts as pitching? Hitting send on a query. Now, don’t get me wrong. You need to do all those things. You need to know who to query, what the magazine publishes, and how Richard Branson remains productive, but many freelancers fall into the trap of constantly researching, constantly interacting with editors on Twitter, constantly reading magazines for story ideas, but never actually sending out a pitch. Don’t be the writer who squirrels away information for later. When you come across a market you find interesting, send them a query. Immediately. 2. Getting started is more important than getting it right. We’re writers, so there’s no point talking to us about letting go of perfectionism. We’ll just ignore you. I say get it perfect. Send the best damn query you can to whoever will read it. But you can’t do that if you don’t take the first step of writing that first word and that first sentence. Getting started is important because if you’re going to be pitching the numbers that I teach my students to aim for (30 queries in 30 days), you’re going to have to find a way to get started. And the very best way I know is to make a list of 30 publications that you will pitch in a given month and one by one, start working your way through them. 3. You can restart any time. One of the most inspiring things I ever heard was from a former yo-yo dieter who had lost 20 lbs. and then managed to keep it off. His advice was simple: You are going to binge, so accept that, but also know that you must recover immediately. Don’t wait until next Monday. Start again now. You’re not always going to hit your goals in marketing. Once the work starts coming in and you get busy, finding new clients is something that takes the backseat, as it should. But most of us don’t just chuck our marketing in the backseat, we throw the poor thing out of the car altogether. If you have done this, offer it an arm. Draw it back in. You’re going to lose sight of the marketing every now and again, but you’ll be okay if you can recover quickly. I’ve now interacted with dozens of writers, many of whom have ran their own successful versions of 30 Days, 30 Queries and the one thing that continues to trip writers up repeatedly is that they overcomplicate things. The questions I receive in my Inbox daily when I’m running a challenge of this sort include versions of “Does an LOI count as a pitch?” “Should I address the editor by full name or first name?” “Is it Ms or Ms.?” My answer: It doesn’t matter! And it’s not important. If an editor falls in love with your idea, she’s going to buy it no matter whether you addressed her by her full name or her first name. But I also understand the need to ask these questions. Human beings, when we’re faced with big fearsome tasks, tend to focus on the tiny aspects that we feel we can control. And therefore, instead of spending time on crafting our pitches, we find it easier to worry about the correct way in which to address an editor. My advice is simply to follow a step-by-step approach. Pick 30 markets. Study them. Find the names of the editors. Come up with ideas. Write the query. Hit send. 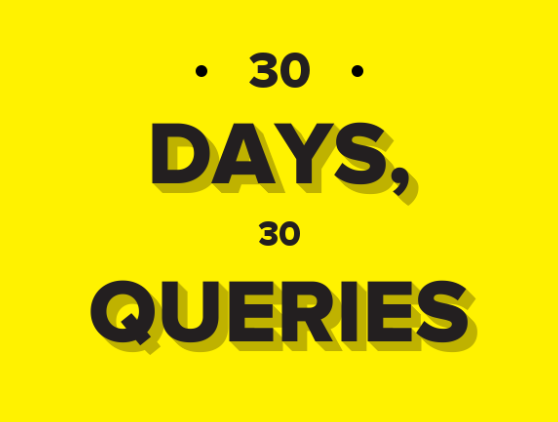 30 Days, 30 Queries. What are you waiting for? Thanks to Mridu Khullar Relph for this insightful post. Relph is a freelance journalist who has written for The New York Times, Time, CNN, ABC News, The Christian Science Monitor, Ms., Elle, Glamour, Cosmopolitan, and many other publications. Her e-course 30 Days, 30 Queries guides writers through a month of intense marketing to reach a new level in their careers. If you're looking to take your career to the next level, I highly recommend it! The beginning of the year is a good time to consider what type of work you're doing, what type of work you'd like to add to your freelance repertoire, and what type, if any, you'd like to phase out of. When I started freelancing, I said, “Yes, please!” (think Michael Myers in Austin Powers) to any paying work that came my way. I was trying to make money however I could. My financial goal my first year was to make … wait for it … $10,000. I have no idea why I chose that number, other than it was a nice, neat one and seemed realistic for someone launching a freelance business with no connections, no experience, and no clue. However, having a financial goal (even a small one) made me focus on money, and it meant that every assignment I took that first year had to pay something—even if it was just $25 or $35 for a short piece for the local paper. Even the “small stuff” moved me toward making my income goal that first year. I exceeded my initial goal, grossing more than $17,000 my first year of full-time freelancing. 1. How much money does it pay? If you're freelancing to make money--as opposed to for fun--this question should be obvious. You should always be thinking about your bottom line. 3. What's the PIA factor? PIA is my shorthand for Pain In the, um, rear-end. Some clients and editors are annoying to work with. I had an editor I worked with who would take forever to respond to queries, then assigns stuff with ridiculously tight deadlines. I didn't mind the fast turnarounds as I'm a speedy researcher and writer, but there's definitely a PIA factor to working with her. And if that PIA factor on a particular project is high, I'm either going to get more money … or I might even walk away. A caveat, however--you can't always determine PIA factor at the outset of a project. Sometimes the client or editor who appears to be a dream turns into a nightmare. What do you do then? That's the subject of a future post. 4. Will this work further my career—and if so, how? So, for example, when I wrote my first book, Ready, Aim, Specialize, I received an advance of only $2,500. I spent months researching (I interviewed 56 sources!) and writing the book. My hourly rate was abysmal. I made more as a teenaged lifeguard. But here’s the thing. I wanted to start writing books, and I had to begin somewhere. So I said yes to the book, added author to my CV, and even made royalties from it. My first book led to more than a dozen others, which has made the first low advance worth it. As a freelancer, it’s within your control to take on work or turn it down. The four-part test has helped me stay on course and prevent me from agreeing to work based only on what it pays. I suggest you look at other factors as well to help you determine what projects meet your short-term and long-term goals. Readers, what say you? Do you use a "work test" or something similar before saying "yes" to an assignment. Please comment below and let us know! And second, if you have a topic you'd like me to cover here in coming months, please let me know. Thanks and have a great week. 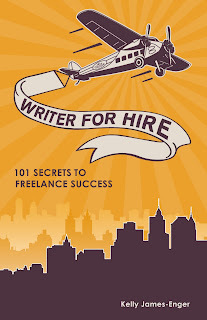 **This post was drawn from "The Four-Part Work Test" from Writer for Hire: 101 Secrets to Freelance Success. 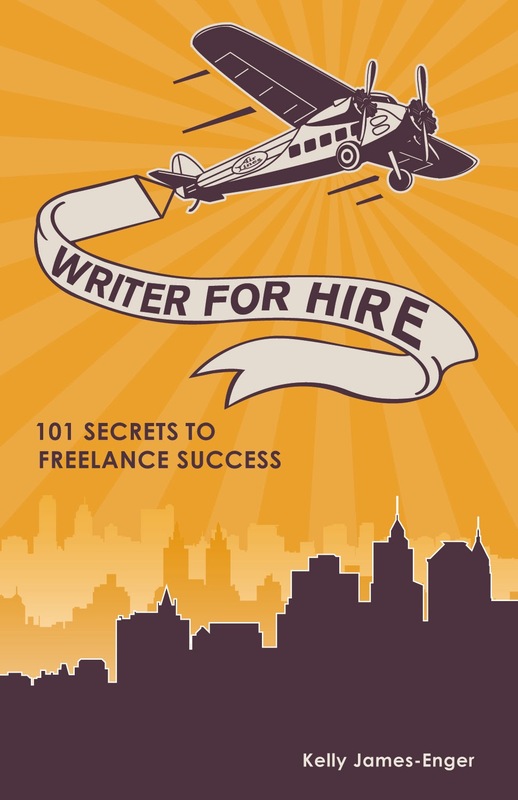 If you're new to freelancing, you'll find great advice there as in Dollars and Deadlines: Make Money Writing Articles for Print and Online Markets. Happy New Year, writers! Last year ushered in rapid changes and new developments in the media industry and 2014 promises to be no different. Not only are the markets and opportunities for freelancers evolving, but changes are also afoot to the way we get paid and insure our freelancer selves against potential health issues. Here's a look at five trends to consider as 2014 unfolds. 1. More opportunities in content marketing. Many of the freelancers I know have shifted their focus from magazine articles to content marketing (also sometimes called brand journalism or custom content). I even spoke on a panel about content marketing last year. Good content marketing places the needs of its readers before the desire to sell, sell, sell, which should alleviate some of the fears of sales-wary freelancers. Big brands in industries including healthcare, finance, and consumer products now invest heavily in content marketing, and many of them use freelance journalists to produce that content, a need that I only see increasing in the coming year. Several industry insiders predict how content marketing may mature in the coming year. To read case studies and learn more about this growing field, I recommend reading the posts at the Content Marketing Institute and Content Strategist. 2. Innovative uses of social media. Freelancers use social media to crowdsource ideas and sources, promote their work, interact with readers, and in some cases even publish the work itself. I predict that writers' use of social media will continue to mature and evolve in 2014, so if you aren't signed up already, now's the time to claim your book title or name on social media before someone else does. I've even had prospective clients ask how many followers I have on Twitter or Facebook, so a strong following could be used as a selling point for savvy freelancers. Freelance pay rates for magazines have largely stagnated, and online and newspaper rates are generally even lower. Given these conditions, it's not surprising that journalists are becoming entrepreneurs by launching startups or writer communities, crowdfunding articles instead of selling to a publisher, monetizing a blog by charging readers, or self-publishing as Kelly has done with Improvise Press. All of these smaller trends point to the broader movement of writers relying more on their own ingenuity and less on traditional publishers, a shift that I find encouraging and expect to see more of in 2014. However, these ventures aren't any easier than landing a magazine assignment or a book contract. In many cases, it's a lot more work to build your own media empire. It's also more rewarding because you pocket more of the profit and the glory if the project succeeds. Instead of mailing checks to freelancers, a growing number of companies now pay contributors through PayPal, direct deposit, or other electronic means. This is often faster and more secure than mailing a paper check, taking it to the bank, waiting for it to clear, and so on. Sometimes clients gross up payments to cover PayPal fees, but many expect freelancers to absorb that cost (it's usually tax-deductible as a business expense but check with your accountant to be sure). Hopefully you're pricing your writing high enough that a small convenience fee from PayPal won't break the bank. However, my favorite workaround is Fresh books' $.50 flat Paypal fee on transactions. Invoice using Freshbooks and you'll only pay $.50 per PayPal transaction regardless of the invoice's size. If your clients still pay by check, don't despair. Mobile check deposit, which I covered for US News & World Report, has made it easier for me to deposit checks without a trip to the bank. A growing number of large and small banks have added this functionality to their mobile apps. Still, don't be surprised if more clients switch to PayPal or direct deposit in the new year, which is easier for both parties. 5. The Affordable Care Act. The Affordable Care Act has had its share of hiccups and controversy. Politics aside, many aspiring freelancers in the United States hesitate because the idea of going without employer-sponsored healthcare and buying their own just seems too daunting. I'm sure there are other freelancers who stay in marriages or domestic partnerships to avoid losing a spouse's employer-sponsored healthcare. It may take some time to iron out the state healthcare exchanges, but their implementation could help those who previously felt tethered to an employer for the benefits. Massachusetts implemented its own health insurance exchange a year or two before I quit my job to freelance full-time and it's one of the things that even made that transition possible. Freelancers, what trends are you seeing play out as the new year begins? Leave a comment and let us know! **Susan Johnston has contributed to print and online publications including The Boston Globe, Self Magazine, and US News & World Report. Her ebook, The Urban Muse Guide to Online Writing Markets, will soon be updated for 2014, and if you buy it now, you'll get a copy of the current edition and the updated version once it's available. Workaholic writers: Plight or delight?